A study published in the Journal of Affective Disorders in December 2014 looked at differences in the brains of people with Bipolar 1 versus Bipolar 2 disorders. It suggested that there might be quite significant differences in brain structure and function in bipolar one as opposed to bipolar 2 patients. The authors used 2 different techniques for imaging brains: one involved scanning the brain using traditional magnetic resonance imaging (MRI) to see if there were any differences in brain volumes, meaning the sizes and shapes of the different parts of the brain, a technique known as brain volumetrics; in addition the study looked at brains using a different and newer MRI-based technique called Diffusion Tensor Imaging (DTI). DTI is a technique that looks more at brain functioning then at brain structure. In particular it can be useful in evaluating the functioning of white matter (the part of the brain involving connections between neurons). The study involved looking at 31 “controls” with no diagnosis of a mood disorder, 15 patients with bipolar one disorder and 16 patients with bipolar 2 disorder. 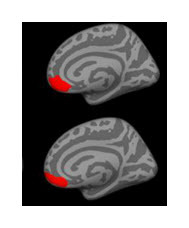 In bipolar one patients there was a significant reduction in the size of the prefrontal cortex on the right in an area of the brain called the medial orbitofrontal region. 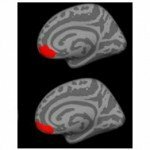 This region of the brain appears to be centrally involved in assessing the rewards and risks of behavior. Other studies have found reduced brain activity in this area that is particularly associated with manic episodes. One of the features of mania, of course, is the loss of awareness of the risks of behavior. So this finding is with other research on bipolar individuals. By contrast, in bipolar 2 patients there were no differences in brain volume compared with the controls. However there were significant differences using DTI imaging which pointed to potential dysfunction in white matter in the brains of people with bipolar 2. The implications of this finding in terms of function and whether it’s a cause or consequence of the condition is not clear but the findings were most prominent in people with bipolar 2. In summary, this study found that there were differences in brain structure in bipolar 1 patients and not in bipolar 2 patients. On the other hand in bipolar 2 patients there were greater changes in white matter function affecting the connections in the brain fairly diffusely. The changes in brain structure seen in bipolar one correlated with the severity of the condition, however the changes in white matter seen in bipolar 2 did not strongly correlate with severity of illness so the significance of these findings is less clear. J Affect Disord. Volumetric, cortical thickness and white matter integrity alterations in bipolar disorder type I and II. Maller JJ, Thaveenthiran P2, Thomson RH, McQueen S, Fitzgerald PB. 2014 Dec 1;169:118-27. doi: 10.1016/j.jad.2014.08.016. Epub 2014 Aug 19.